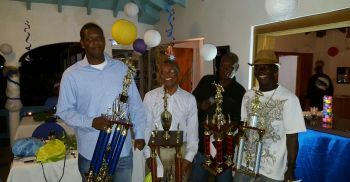 VALLEY, Virgin Gorda, VI – The Lady Evelyn, captained by Representative for the Ninth District Dr The Honourable Hubert O’Neal, swept the 2016 edition of the Virgin Gorda Fisherman’s Jamboree by capturing the first, second and third prizes of the tournament. Nine vessels participated in the jamboree over the two days from Saturday March 26 and Sunday March 27, 2016 and had various levels of success with the real measure of their efforts being the catching of Wahoo, said to be the most difficult to catch. In addition to Lady Evelyn of Tortola, there were Anger Management of St Thomas, Bad Dog of Tortola, Big Ting of Virgin Gorda, Livin Rich of St Thomas, Pole Dancer of Tortola, Ruckus of Scrub Island/Key West, Sea Rena of St Thomas and Voyager of St Thomas. The first prize for the heaviest Wahoo weighing in at 43.8 lbs went to Trevor John of the boat Lady Evelyn . Second prize for second heaviest Wahoo went to William Anthony Bridgewater Jr from the Lady Evelyn with 36.5 lbs. The third prize for the heaviest overall Wahoo catch also went to Bridgewater of the Lady Evelyn with a catch of 80.3 lbs. 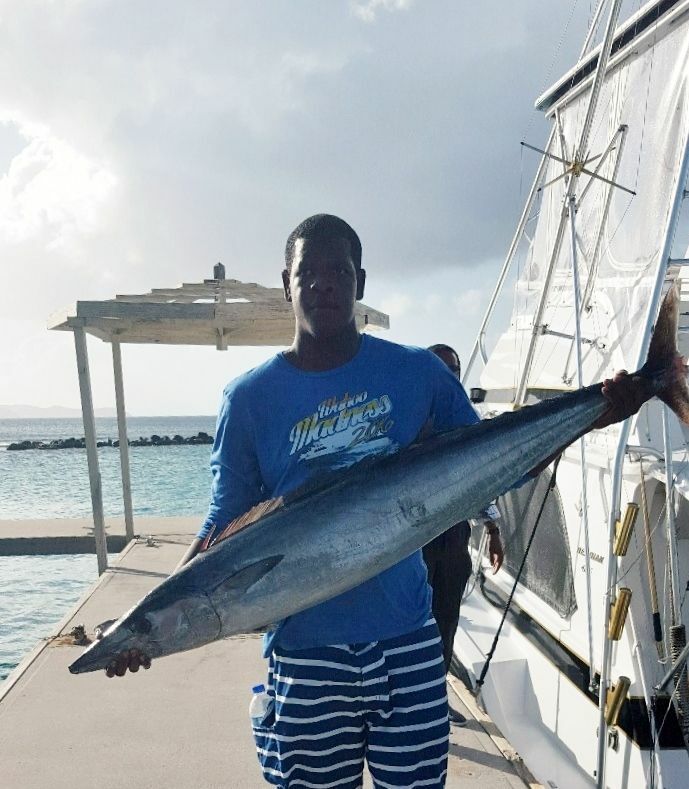 Commenting on the achievement, Trevor John said the Saturday was a better day than Sunday in terms of the conditions for fishing. “We are still satisfied with what we got. 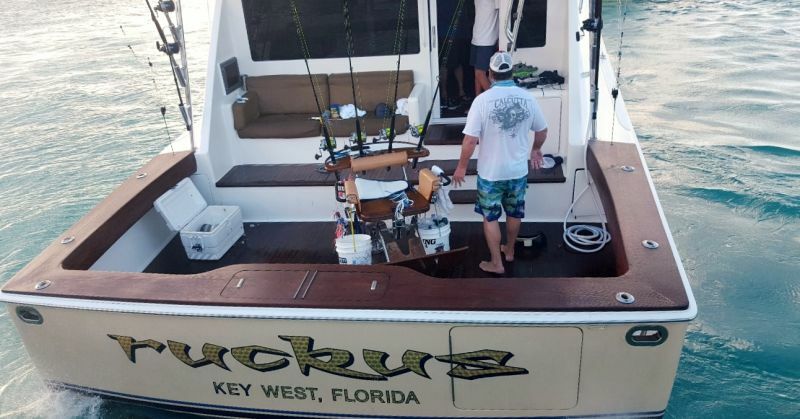 We came away [with a single catch] of 43 lbs today, so we feel comfortable about it,” he said. 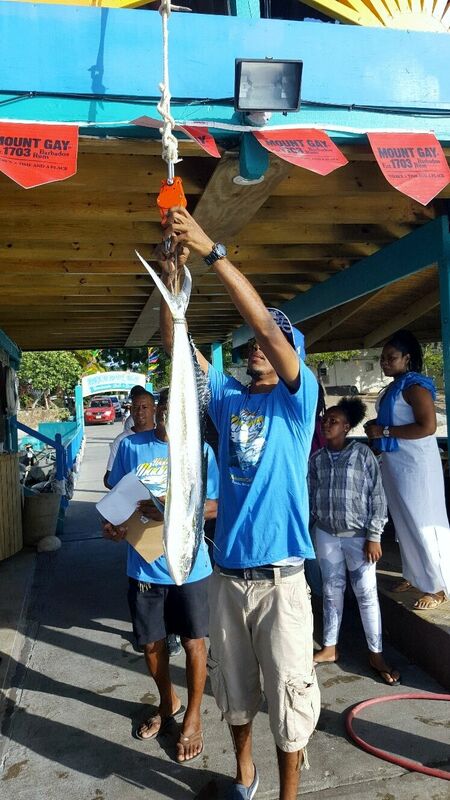 While the tournament and the announcement took place at the Mermaid Bar, the official prize giving ceremony took place at Fischer's Cove where a dinner was held for the participants and where the caught fish was served. Speaking at the prize giving ceremony, Virgin Gorda patriarch Andy Flax said it was a pity that anglers from St Maarten could not come down for the tournament because of the weather. “They have been coming from the inception of it,” he said. 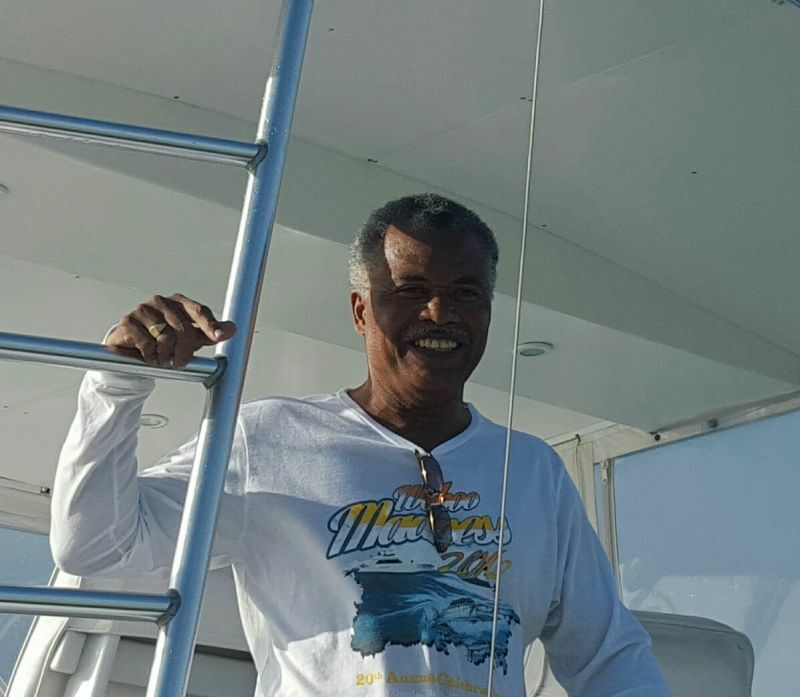 Flax noted that two of his sons used to go to St Maarten for their fishing tournament so as such the anglers from St Maarten would return the courtesy. 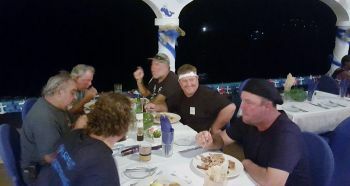 He also thanked anglers from St Thomas, USVI whom he said have been coming on a regular basis. Speaking at the prize giving ceremony, Rhodni A. Skelton- Events and Marketing Manager at the BVI Tourist Board- revealed that the event started 20 years ago with just three boats. 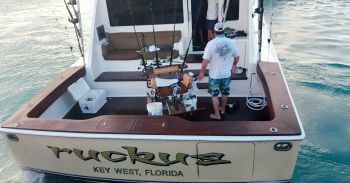 “And we have seen it grow to as many as 21 boats and we definitely want to see this event continue to grow and get back to those numbers and exceed them,” he said. Skelton said it has been the mandate of the BVI Tourist Board from the Premier Dr The Honourable D. Orlando Smith who is responsible for tourism to see how to use sports tourism to continue to grow the sector and get more persons coming to the territory. “We want to make the BVI as accommodating to you as possible, so if there is anything that we can do to make your stay better, it is a consorted effort to make the BVI a place that you guys will want to come year after year,” he said. In his remarks as Representative for the Ninth District, Dr O'Neal welcomed all of the participants to Virgin Gorda which he referred to as the gem of the territory. He thanked the Flax family for starting and continuing the tournament year after near until now, its 20th year. He said the tournament has been integrated as a part of the Easter festivities, noting that the tournament has grown from year to year and attracting anglers from not just the VI and USVI but from St Maarten and other places. 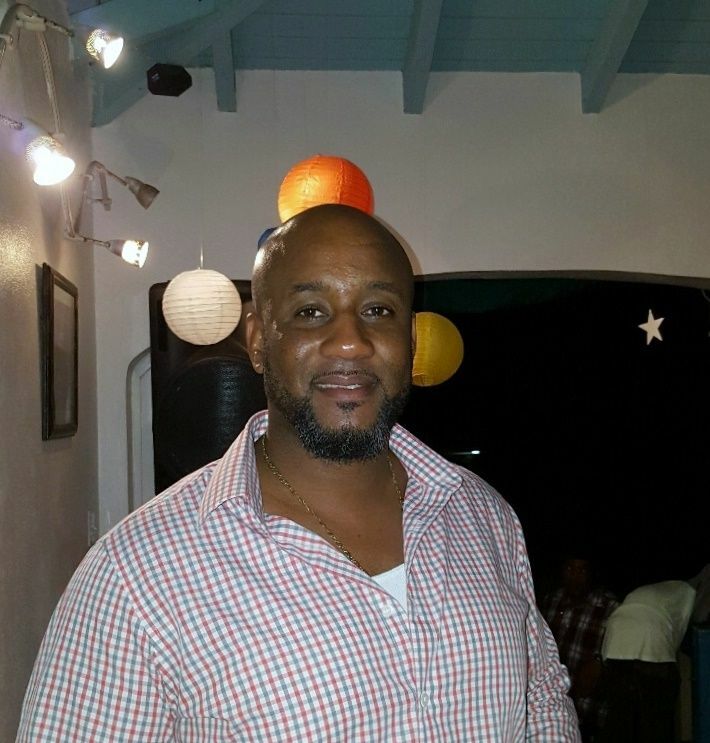 Honourable O'Neal said he plans to donate his prize money to a charity on the sister island of Virgin Gorda. His winnings total over $10,000 in cash and other prizes. 2 boats in the tournament no wonder he won the trophy?